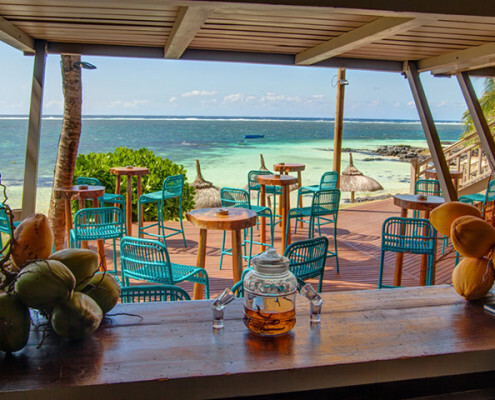 Adrift in the Indian Ocean, 1,250 miles east of Africa, Mauritius has long been an idyllic sun-soaked holiday destination for South Africans and Europeans. 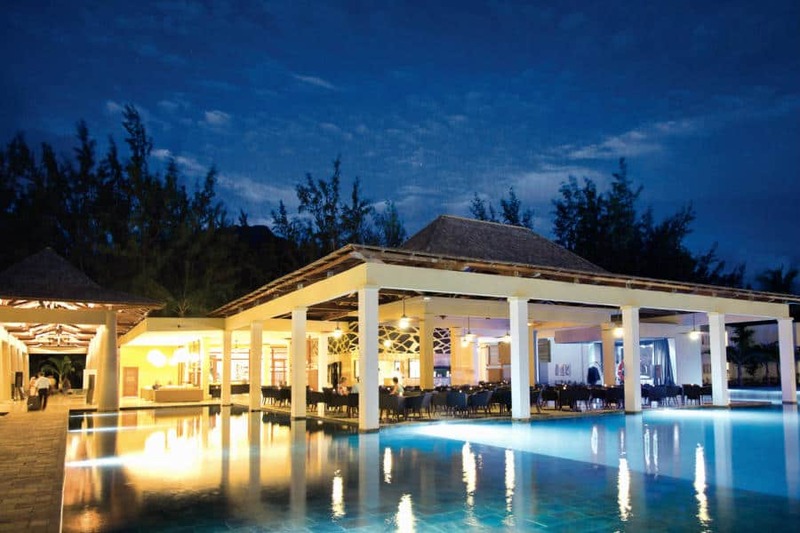 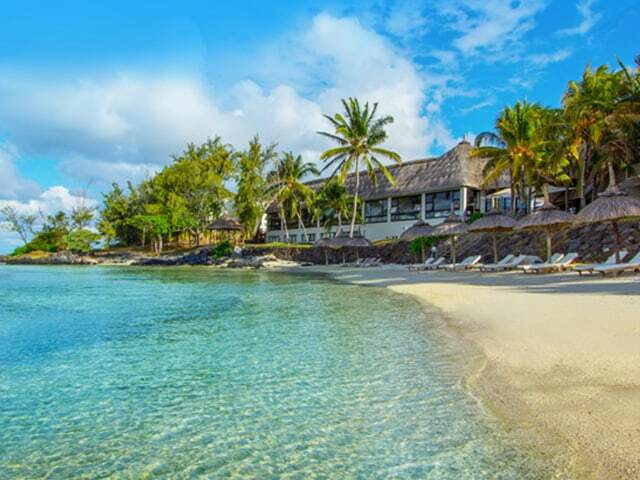 Mauritius, with its miles of beautiful white-sand beaches, complemented by crystal blue lagoons, lush forests, dramatic volcanic peaks, is made for romance, with some of the best, adult only luxury hotels in the Indian Ocean. 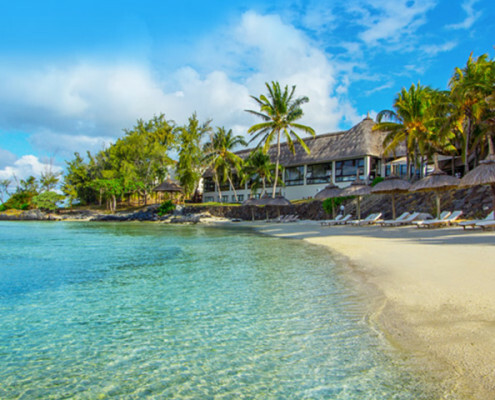 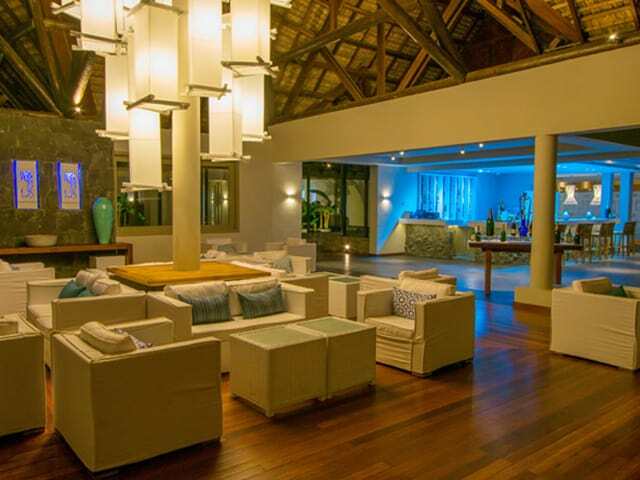 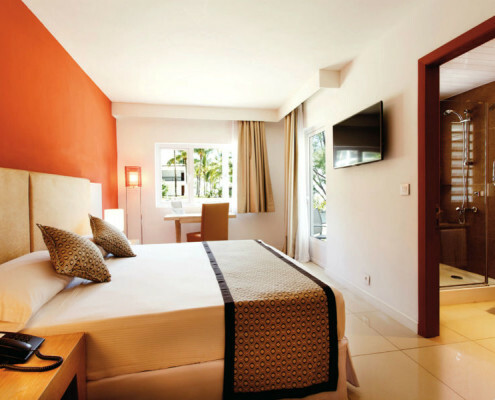 If you’re planning a vacation without the kids or simply looking for a peaceful romantic getaway, here are two adult ONLY hotels that can be found with our Mauritius packages. 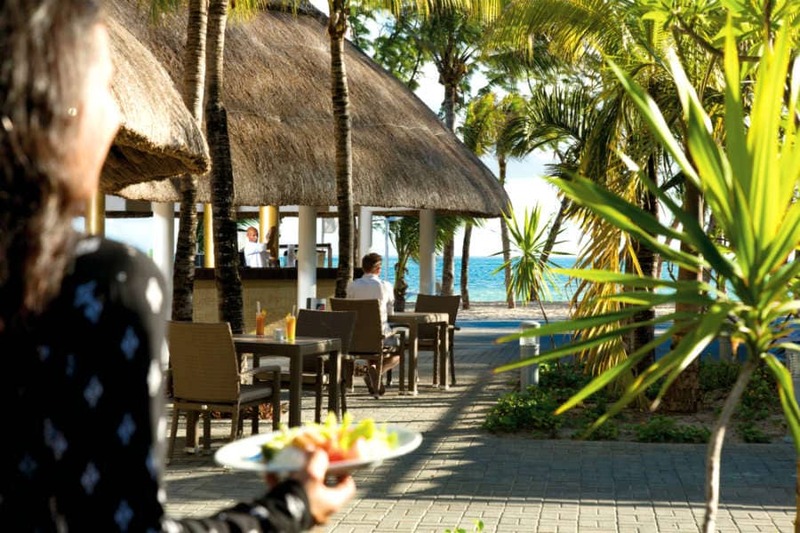 After a flight to Mauritius, the pristine white sandy beaches and clear waters surrounding Hotel Riu Le Morne might seem like a mirage, but nestled on spectacular Le Morne Peninsula with the dramatic Monte Brabant as its backdrop, the 4-star Riu Le Morne is the ultimate seaside respite. 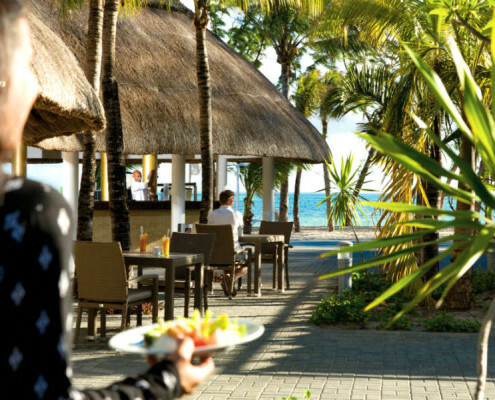 Welcoming adults with the laid-back bliss of a beach getaway, Riu Le Morne offers guests an exclusive ambience, with four restaurants, five bars, a freshwater swimming pool and chill out area. 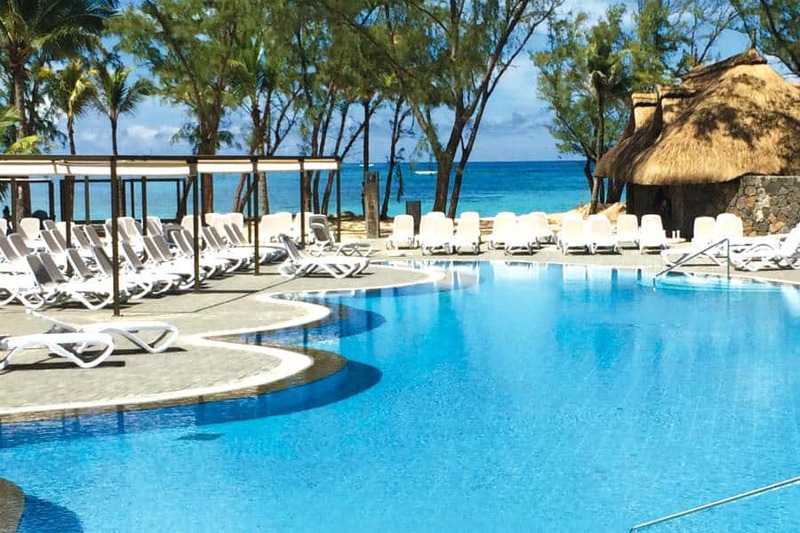 From windsurfing, kayaking, and snorkeling to paddle surfing, a vast selection of leisure and entertainment ensure that there’s never a dull moment in this paradise. 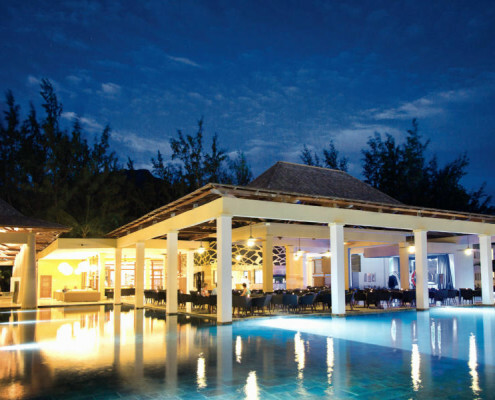 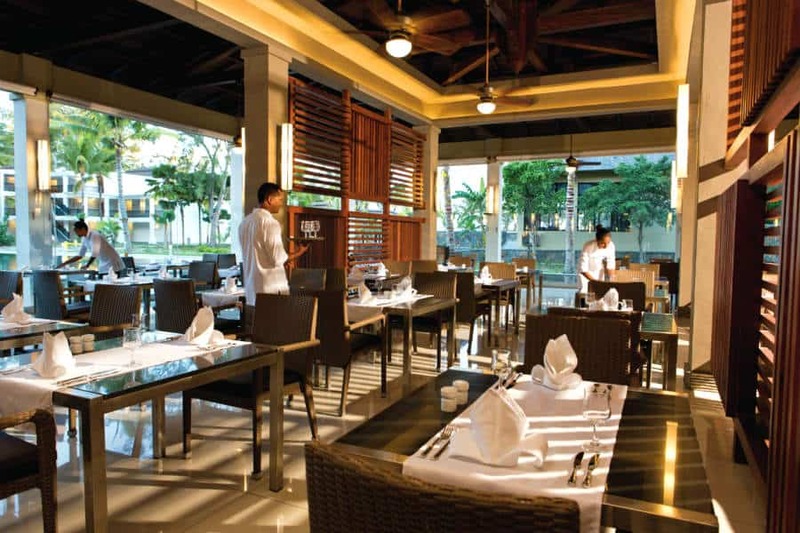 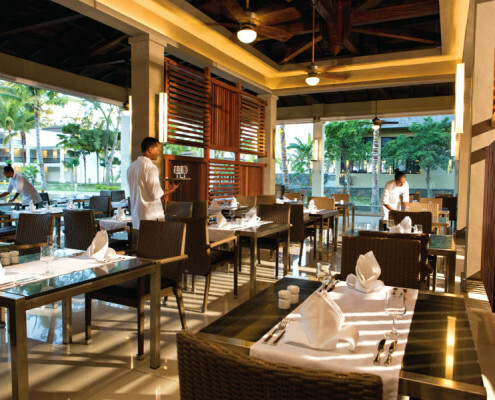 And when night comes, fun is always on the menu with live music and shows, and the resorts disco and karaoke bar. 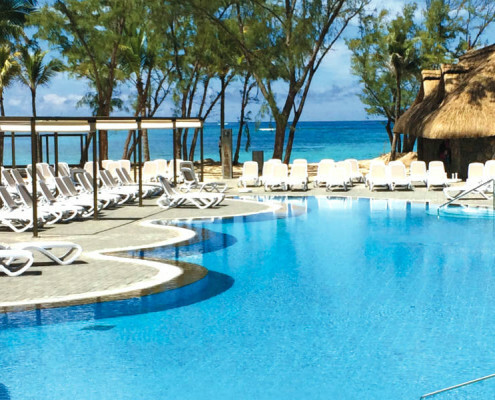 It’s the perfect escape for lovers of love. 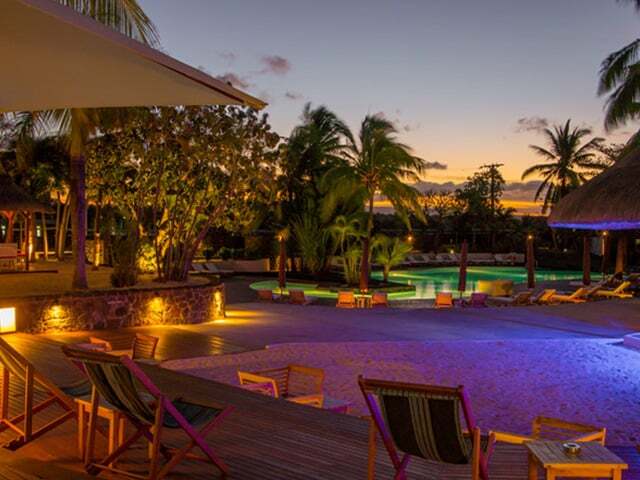 Leave the hustle and bustle of the city behind as you take in the sunset with your better half at Solana Beach in Bell Mare. 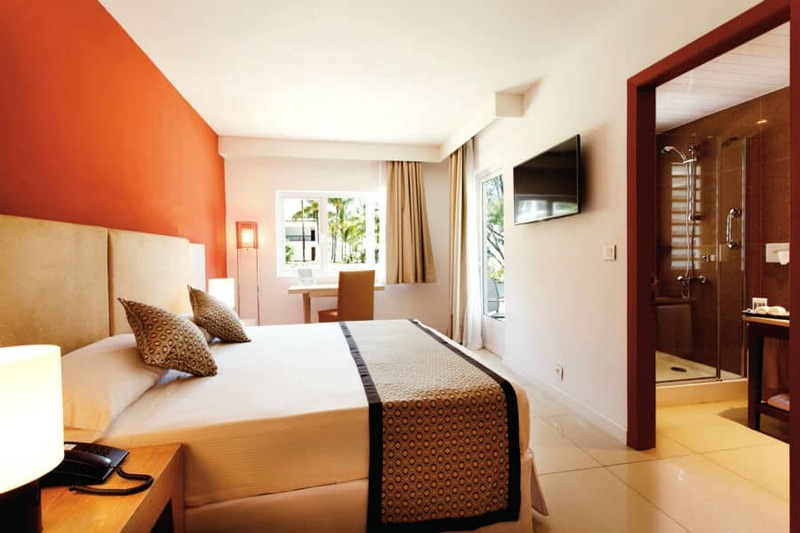 Solana Beach is an adults-only hotel offering a haven of peace and tranquillity amongst the coconut and palm trees on the East coast of the island. 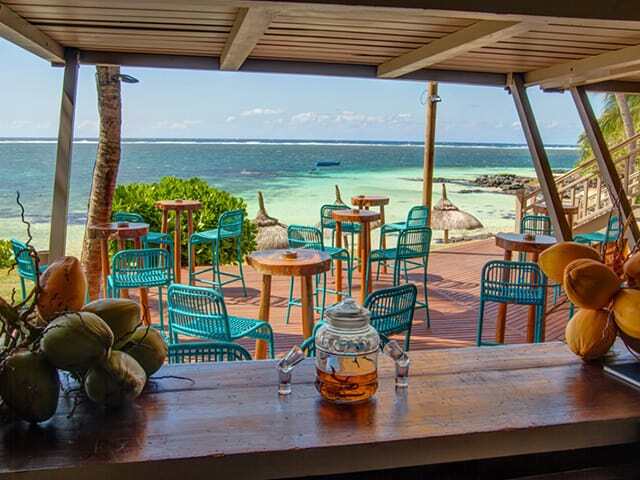 This contemporary Zen address is the ideal setting to enjoy magnificent, romantic sunsets on the shores of the Indian Ocean with no care in the world. 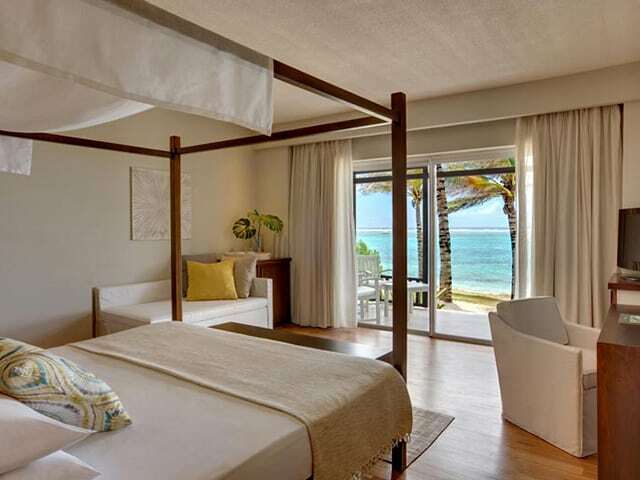 Disconnect from your daily life while enjoying unparalleled experiences together such as canoeing, windsurfing, snorkeling, diving, parasailing, beach volleyball and so much more. 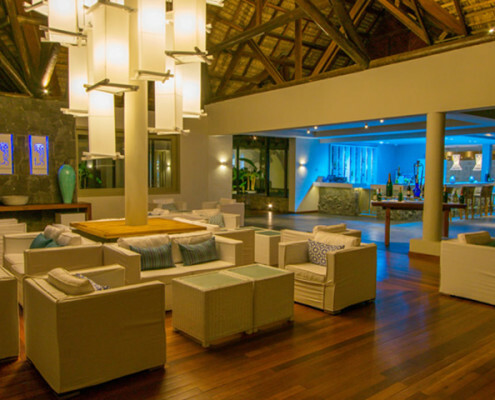 For relaxation, the spa offers couples massages and beauty treatments as well as access to the sauna and steam bath. 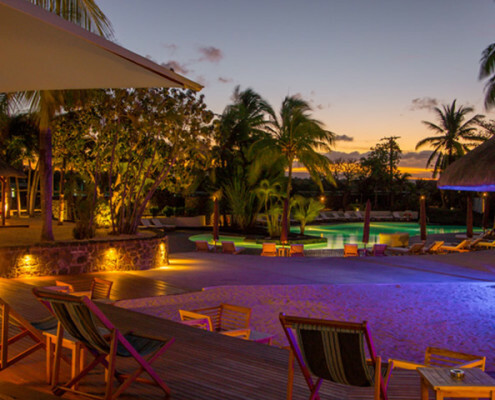 This breathtaking hotel also features an outdoor pool, a fitness center, several bars, and a 5-star restaurant, a la carte restaurant and a Japanese restaurant. 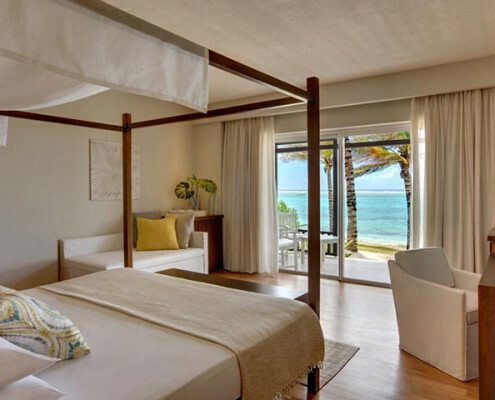 It is truly the perfect paradise for love!